This is cold-weather cooking, too, from the mountains. It’s a great meal for a mid-winter night. 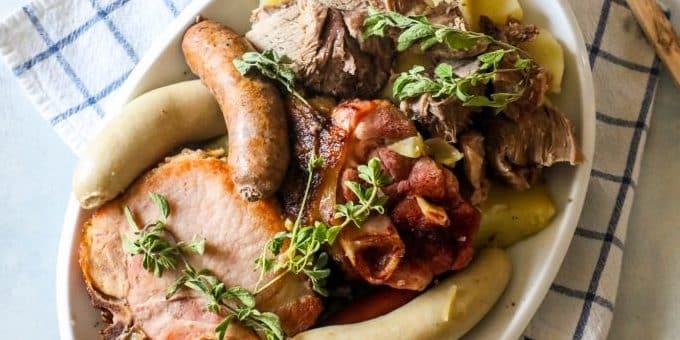 On the menu:The centerpiece of Alsatian cuisine – choucroute garni – with all the accompaniments.